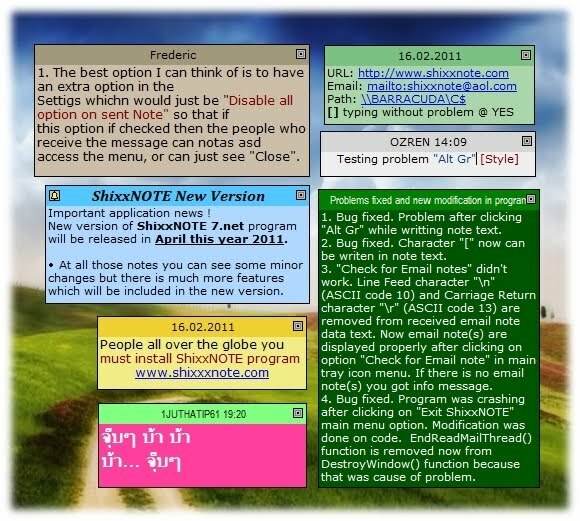 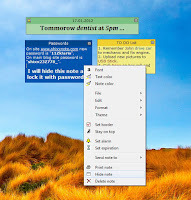 If you have some important note(s) which you want to hide temporary from the desktop all you need to do is to click on note menu item "Hide note". After that note will be not display after computer restart until you click on program main menu "Show all notes". 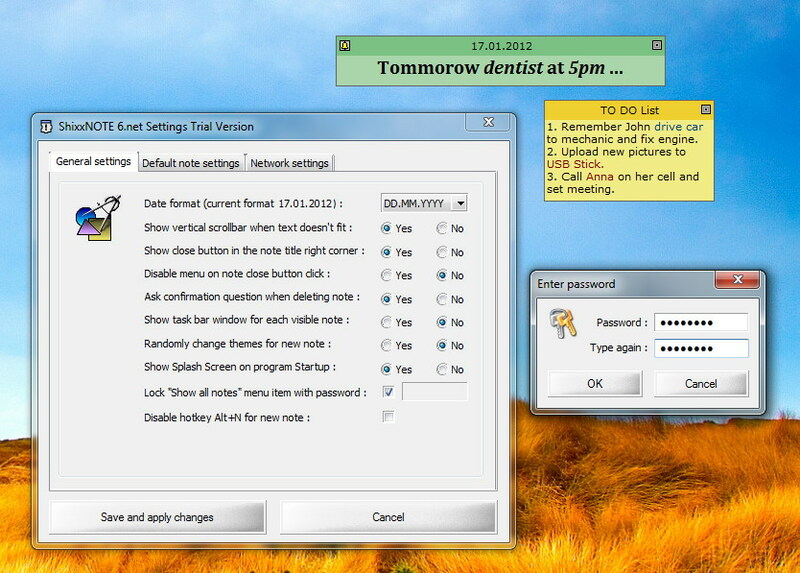 But there is also option in "Settings" dialog where you can lock hidden note(s) with password. 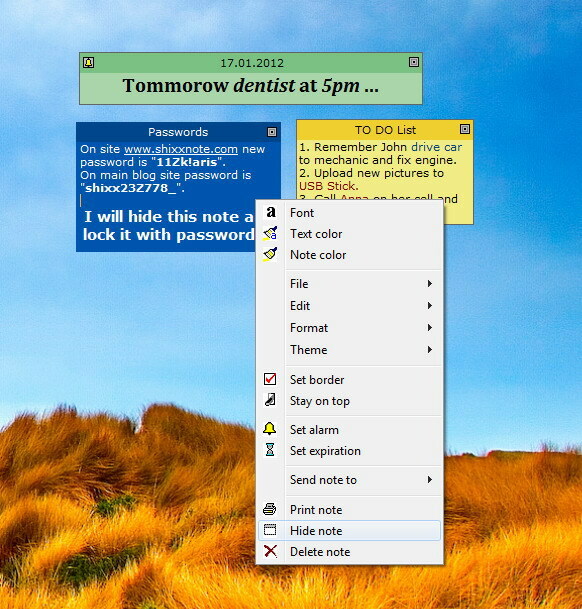 Here you can see on those three pictures how you can hide note(s) and lock it with password. 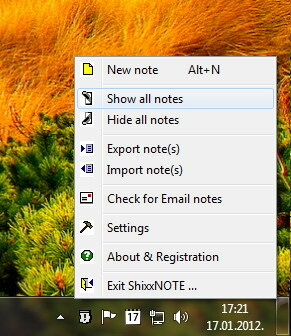 So when you click on main menu program item "Show all notes" you will be prompted to enter password.